We are all different and we experience different things in our lives. That is a general fact. But if you take the chance to look at that phrase in a much deeper context, you would see a kind of opening. An opening that would show you that all of us are practically the same because we experience the same things in our lives. To help you understand, we are practically the same because all of us experience happy and sad moments in our lives. You may also see recipe journal templates. Despite us generally being different, we are also the same because we tend to look back at different moments in our lives that gave us different kinds of emotions and reflect on it. Often, this happens when we are in a quiet place, a mountain, our homes, or when we are in the same place where that memorable moment happened. What is amazing about that is sometimes no matter how many times we have already reflected on the particular moment, we repeat our reflection. But there are also moments where we reflect only once or avoid. You may also see vintage journal templates. As you can see, what I did in the first few sentences is a reflection. A reflection of the differences and similarities in life. 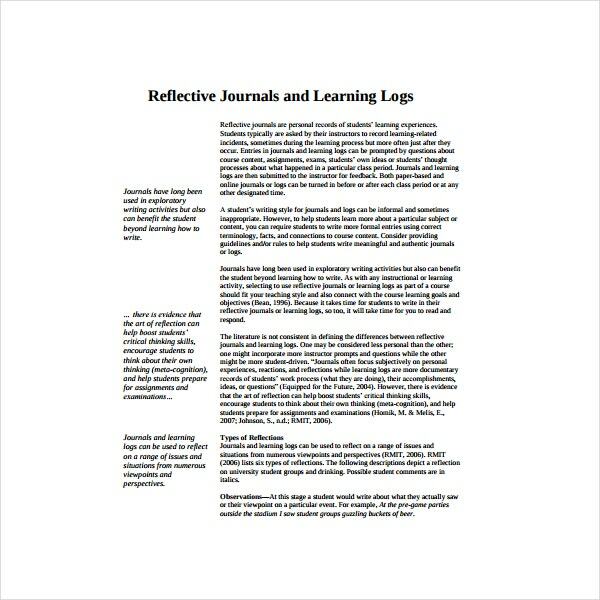 In this article, we will talk about what a reflective journal is. Adding to that, we will also be tackling the reasons why we write our reflections in our personal journals and how to write one. We will also be providing templates so that you have something that will guide you if ever you attempt to write one. 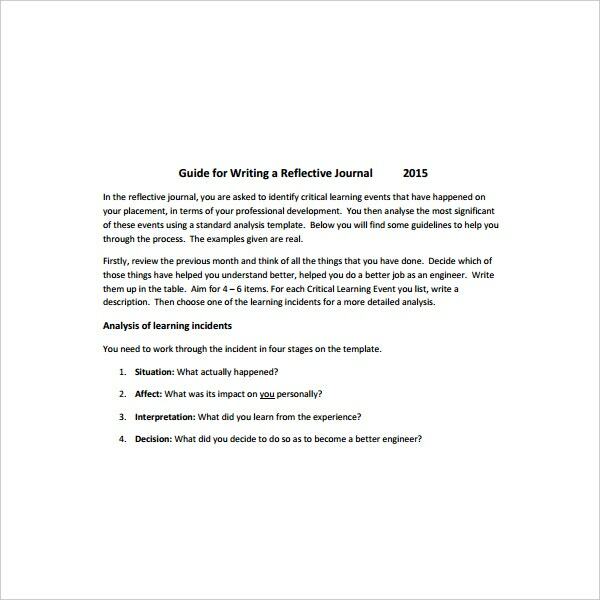 Lastly, we will also include different reflective topics to write about in your journal. 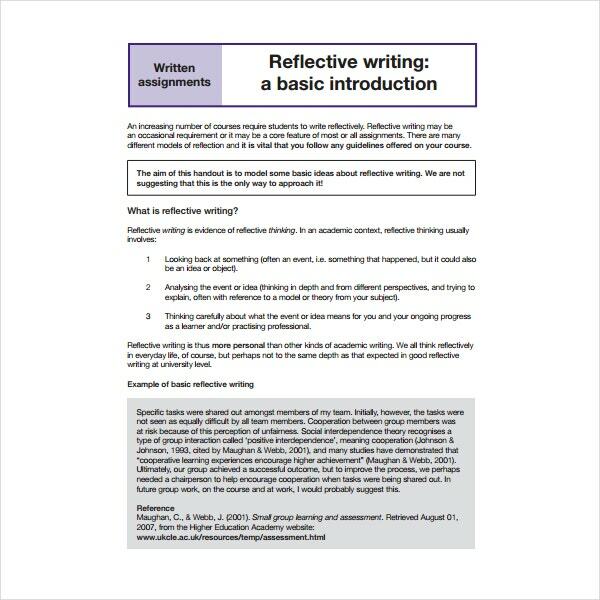 You might probably have an idea what a reflective journal is based on reading the opening introduction of this article but we are going to give you a more understandable and standard meaning of the term. 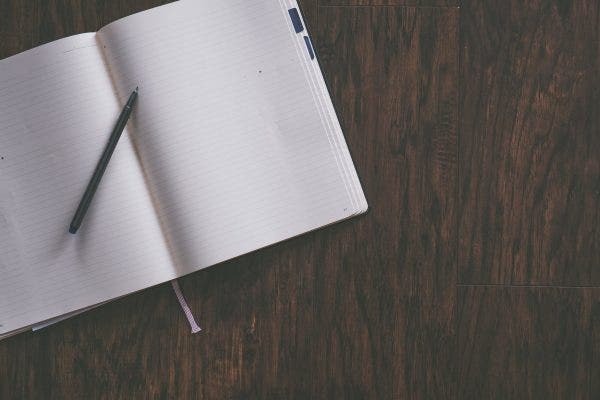 A reflective journal is basically a personal journal in which you get to write the moments in your life that have greatly impacted you and why. It is also within your hand to choose to write what you have learned from those experiences. But you do not write it in the journal to only express, but also write it so that you can read it again if the moment calls for it and the reminiscing and realizations would take place again. 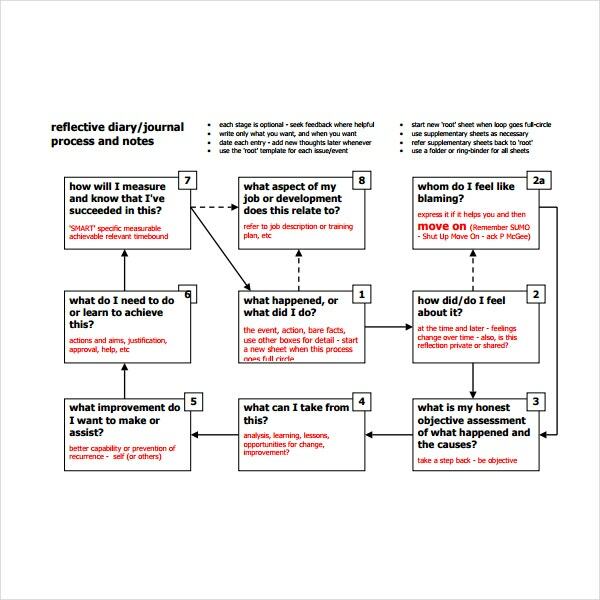 So that is basically what a reflective journal is all about, writing down on your thoughts and learnings of one good or bad memory. In a way, it is like your personal diary. You may also see recipe journal templates. 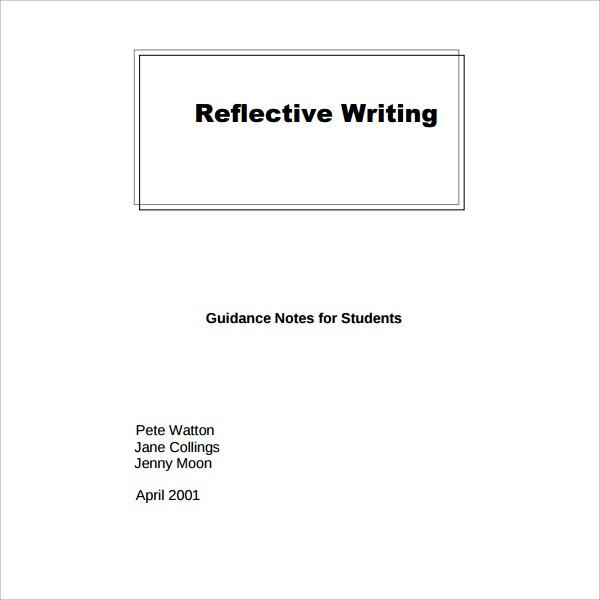 Why Do We Write on Our Reflective Journals? 1. Why things are the way they are. When your relationship with someone has just ended and you write about the moment where your former partner called it quits, you would tend to think critically and emotionally about why he or she would do that. This is where you would try to speculate and find the reason why he or she must have had done that. Questions of “why did it come to this?”, “is it supposed to be like this?” and etc. Having these kinds of reflections would lead you to remember memorable lines from books or quotes that would help you incorporate it to your current situation and hopefully, ease up your mind and broken heart a little bit more. You may also see excel journal templates. 2. To let it all out. Sometimes, there are just things we wish we could tell and open up but because of fear being judged, we don’t. That is why some choose to write their feelings and expressions in a journal to satisfy their need to express without getting judged. It is also an avenue to write down the things you wanted to say to one person but didn’t have the guts to when the moment was there. You may also see word journal templates. 3. To know what to change. What we mean by this is the choice to change or not. Writing an experience that has affected you no matter how big or small can lead us to change some parts of us in order to better adapt if ever those situations again and sometimes we choose not to adapt at all. You may also see journal paper templates. 4. Something to look at too. Reflective journals can be handy if ever you decide to look back at certain areas in your life that have demotivated you. Why is this helpful? Because when you are old enough and had gained success, you can use your journal to remember and reflect on how far you have come since then. This can serve also as a motivation to keep continuing the climb to success slowly and steadily. You may also see journal website themes. Some people in the world are gifted with the brilliance in their minds. They can express their thoughts in ways some people find hard to write yet understand. But not everyone possesses this kind of gift. 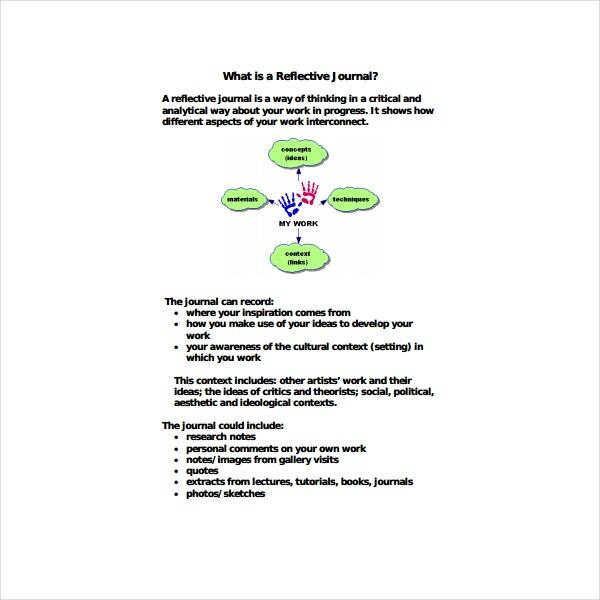 Luckily, we will provide you a guide that will help you in writing a reflective piece in your journal. So grab a pen and paper and let the learning start. You may also see photography journal templates. The Situation. This is where you first narrate the things that happened at the moment that had affected you. The Effect. You will jot down what you felt when the moment happened. Ask yourself what did you feel and how did your body react seeing that moment. The Interpretation. After writing what you felt, this is where you will write your realizations from that event basing from what you felt. If you got hurt, did you realize that it was time to let go or still hold on? You may also see inspirational journal templates. The Decision. This is where you depict your interpretation of the real life. If you have already read understood the previous paragraphs, it is now time for you to write your very own reflective journal. This means that it is time to remember and reflect. But where do you start? Out of so many memories that have changed you, it can confuse you on which moment to write and reflect about first. In this part of the article, we will tell you topics that are worth reflecting on sot hat you will also know where to start. You may also see dance journal templates. And, the list just goes on and on and on. While writing your reflection, it is important to choose the topic or moment that is greatly affecting you now or something that you cannot really get out of your head for the moment. Writing a reflective journal is a moment to moment basis. If you are still having a hard time expressing, just try to practice writing how your day went every day and be more detailed on moments that had affected you slightly or greatly. If you make a habit, expressing would not be hard anymore. 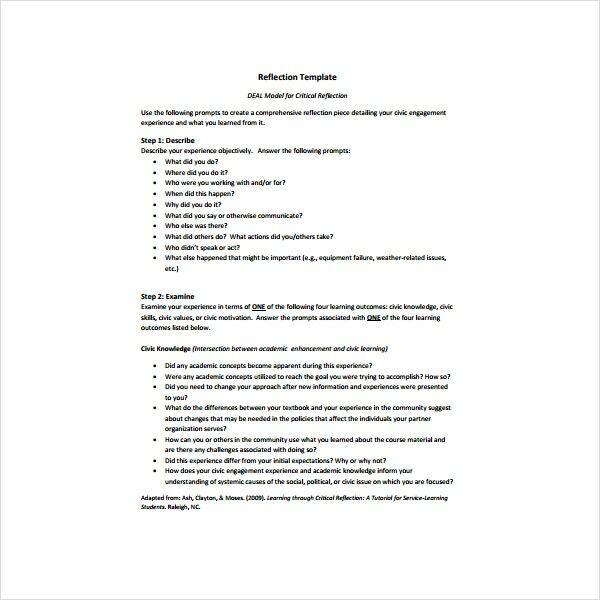 You may also see writer journal templates.